Your students struggling to understand word problems? Just look at the numbers and guess a random operation? 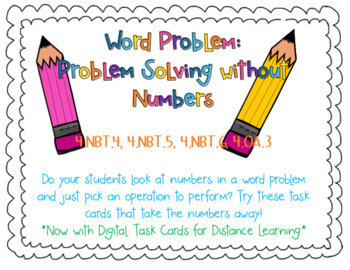 These task cards take the numbers away and require students to just read and determine what must be done to solve the problem. Includes addition, subtraction, multiplication, division, and multi-step word problems.